Last fall, Make Poverty History Manitoba challenged all political parties to respond to a set of policies developed by the community that would best tackle the depth and breadth of poverty in Manitoba. Parties are starting to respond. The NDP announced Saturday a poverty reduction platform that closely matches several of our top priorities. – 300 units of social housing per year + $100 million per year for renovations. 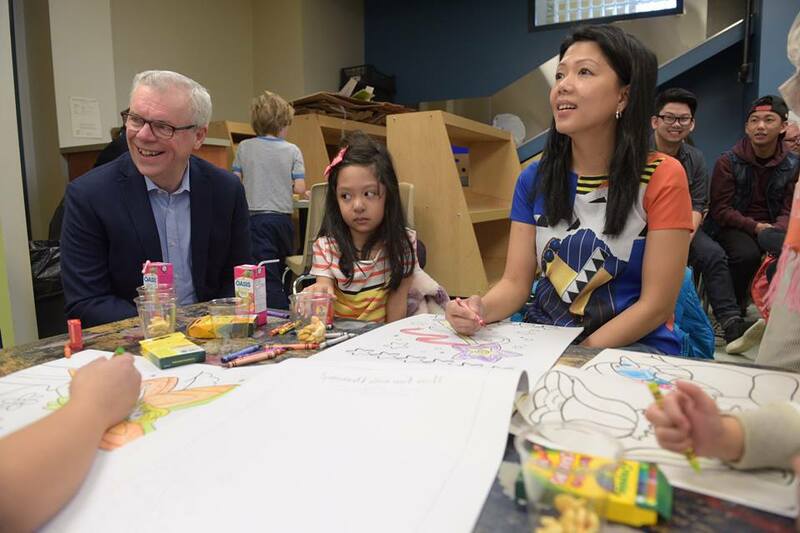 – 12,000 child care spaces, including full subsidies for low income households. – Consultations with the community to set targets and timelines for poverty reduction within six months of being re-elected. On child care and social housing, their platform follows the recommendations that we have proposed and that were developed through community consultations through the View From Here in 2015. Although the proposed increases in minimum wage and EIA are lower than are needed to lift families out of poverty, they are steps in the right direction. We are also still waiting for details of how the NDP will respond on the issue of community based mental health services. The last element on targets and timelines is important since when governments set out targets for poverty reduction, it pushes them to think about poverty holistically, and to filter all policies through a lens of how they impact people living in poverty. Ultimately, a comprehensive plan for poverty reduction is needed. There is no single silver bullet for ending poverty. It is up to all political parties to respond to this challenge with an integrated approach. We look forward to hearing from other parties when they release their poverty reduction plans. This entry was posted in blog and tagged #mbelxn, NDP, WestEnd Commons. Bookmark the permalink.